Size: 696 sq.ft. - 1835 sq.ft. The Montana is an amalgamation between Emami Group & Sheth Group.This ornate accommodation is located in Mulund West, Mumbai. By developing Montanain Mulund central line is a pleasant surprise to the Mumbaikars. Sheth Montana is having 2 phases that consists of 4 high rise magnificent towers equipped on the area of 7.5 acres. The site of Montana assures you a unique appearance that attracts everyone’s eyes. Phase 1 of the project will have options of 2 BHK & 3 BHK homes while Phase 2 compromises of 3 BHK & 4 BHK stylish homes. 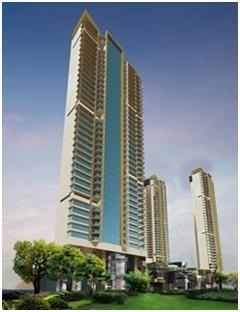 Montana Mulund apartments are priced between 1.55 Crores to 4 Crores. The project will be ready by the end of December 2022. The Montana towers are designed over four level podiums and would have 706 residential apartments overall. Montana homes are ranging between the sizes from 698 Sq. ft. to 2665 Sq. ft. Sheth Montana offering you very affordable and gracefully crafted homes that are well equipped with all the necessary amenities to facilitate the demands and needs of the residents. The Montana is an outstanding estate which is master planned where every level of the tower is perfectly outlined with 2 spacious flat per floor. The interior walls of the apartments have gypsum plaster with plastic paint and Bathrooms and Kitchen are designed with fulgent tiles upto ceiling. The apartments flooring furnished with Vitrified tiles, Vermor tiles. The Sheth Group came into existence in 1968 by Mr. Ashwin Sheth. The company was grouped as Pvt Ltd firm in India and is registered at Registrar of Companies, Mumbai. Since then the Seth Developers has created many landmarks in different cities of India. The group holds portfolio of 17000 Units across Virar, Dahanu, South Mumbai, Mumbai suburbs, Nalasopara, Vasai and Ahmedabad. Sheth Developer has built up 4.5 lakh Sq.ft. and 7 lakh Sq.ft of development is under construction yet. Their most admired projects are Clarion Vasant Marvel, Sheth Irene, Vasant Sagar, Ivy Tower, Dynasty, Vasant Valley, Vasant Marvel, Vasant Valley Ivy Tower, Viva City Mall, Dheeraj Hill View Tower, Nilaya and Vasant Leela Apartment. Sheth Group has presented lavish projects overseas as well and very renowned in Dubai for their developments named Iris Zuri, Waterfront Dubai & Iris Ora, Business bay. The location of Sheth Montana has took place various development by the top leading India based developers. Sheth Montana is centrally located in Mulund West near Nirmal Lifestyle. The residents of Mulund can easily commute various localities of Mumbai via roads and rails. Mulund West is a Suburb of Mumbai situated at the bottom of Sanjay Gandhi National Park and Tulsi Lake. Eastern Express Highway and Navi Mumbai are few minutes away from the Montana location via Mulund-Airoli Bridge. Mulund West is more tempting to homeowners or buyers for its recreational places, Parks & avenues are designed that makes it inculcates while living here. Sheth Montana lies right behind Vasant Oscar at LalBahadurShashtri Road in Mulund West, Mumbai - 400082, India. * Separate Swimming Pool & Mini Pool for kids & adults. * Landscape & Lawn Pavilions & much more. Schools: - Sri Ravishankar Vidya Mandir, EuroKids, Sheth Karamshi Kanji English School, DAV International School. Restaurants:- Woodland Retreat, Cafe Coffee Day - Vasanth Garden, Domino's Pizza, The Food Studio-Kitchen & Bar. Hospitals:- Apex Hospitals Mulund, , Ashwini Hospital and ICCU,Surya Eye Institute & Research Centre, Kamgar Hospital, Hira Mongi Navneet Hospital. Bank/ATM(s): - HDFC Bank, Yes Bank, ICICI Bank, Bank of Baroda, Kotak Mahindra Bank. Shopping Malls/Supermarkets: - Nirmal Lifestyle Mall, Korum Mall, R Mall, D-Mart. Movie Theatres: - PVR Cinemas, Malhar Cinema, Cinemax, Jawahar Talkies, Big Cinemas. Railway Stations: - Mulund, Thane, Nahur, Bhandup.